There are many common English errors that are quite unique to Indians, blame it on their flawed learning process. Since English is a second language in India, many tend to maintain a casual approach towards using grammar and vocabulary in their everyday writing and speech. Moreover, many people learn English usages from their peers without actually verifying the accuracy, a behavior that leads to easy acceptance of quite a few wrong usages in their everyday speech and writing. As a result, you hear usages that are unacceptable in standard English. Here’s a list of such common English errors for your reference. Using prepositions with verbs loosely is one the common mistakes Indians make. I was stuck up in the traffic. 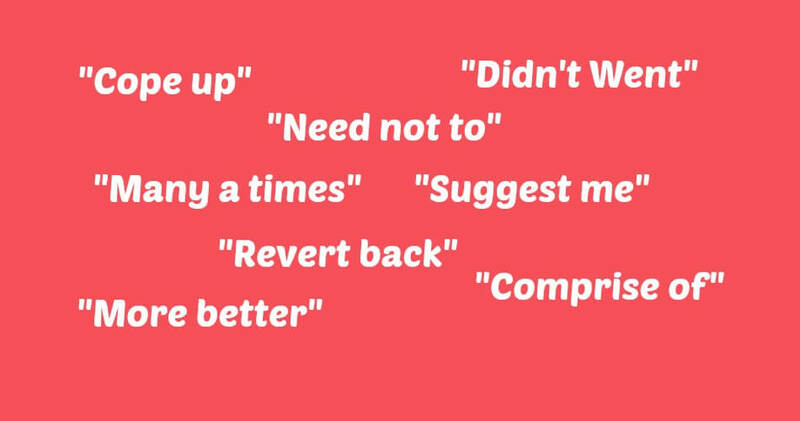 This tendency to use “up” indiscriminately with common verbs may have been influenced by common phrasal verbs such as break up, take up, wrap up. Incorrect: You should learn how to cope up. Correct: You should learn how to cope. The verb ‘cope’ usually collocates with the ‘with’ preposition. Here’s a discussion on Quora if want to learn more. “Many a Time” is a fixed expression which is considered archaic these days. However, it is used by authors and publisher in literature. “Many a Time” essentially means “Many Times”. Speaking of rules of this archaic usage, any noun in front of “Many a” will take a singular form. Also, it’s usually used in the beginning of the sentence. Please, read this answer for better understanding. Apart from being a main verb, need can also be a modal verb or auxiliary verb. When used a modal verb, it doesn’t take any preposition. Modal verbs are used to indicate certainty, possibility or probability of an event. Apart from need, there are many other common modal verbs you must be familiar with, such as can, could, may, might, will, would, shall, should, ought to, dare. He may not go home today. You could ask him about his plans. They ought to remember who their boss is. Rand dare not enter my room while I’m still in. There’s something common in all of the examples shown above – none of the modal verbs have taken any preposition. Similarly, when used as a modal verb, “need” never takes a preposition. Incorrect: You need not to say this. Correct: You need not say this or you don’t need to say this. Follow this link if you want to learn more about modal verbs. Because of the rampant use of the word “anyways”, many tend to believe this is just another alternative of “anyway” (adverb). However, this is a wrong assumption. Anyways is a non-standard colloquial variation of the word “anyway” which carries the following meanings. FYI, anyways is universally regarded as being incorrect and unfit for print or publication. Therefore, you shouldn’t use it in formal writing or speech. NB: You may have also come across the use of “Any Way” which is essentially combination of two words – Any and Way. For example: Will you be able help her in any way possible? Here the word “any” (adjective) defines “way”. It’s not a variation of the word “Anyway”. There’s a very useful article on this topic if you want to learn more about the difference. Question tags are some of the most confusing part of learning English for many Indians. Question Tags follow a specific grammar pattern. They usually depend on the verb or auxiliary verb in sentence. It’s going to take a long time, isn’t it? 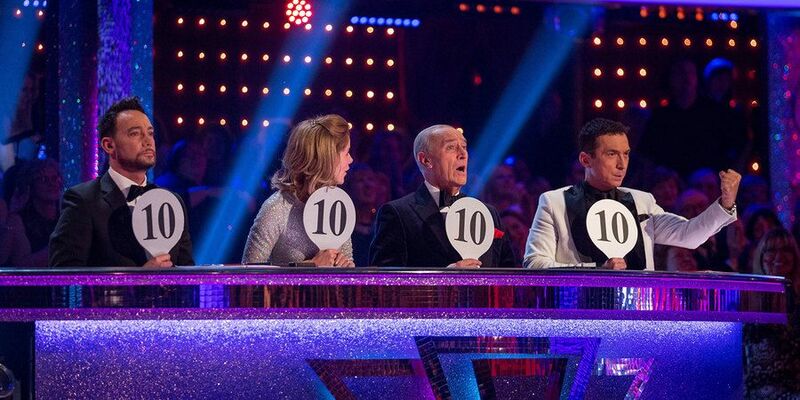 She has done really well in this test, hasn’t she? They’re very excited about the new project, aren’t they? Rand speaks like a professional, doesn’t she? Note: Question tags can be different based on nature of the questions asked and intention behind the questions. Here’s a good source to learn more about rules of question tags. However, many Indians tend to use “isn’t it?” no matter what the questions are. Incorrect: He really likes you, isn’t it? Correct: He really likes you, doesn’t he? Incorrect: You’ve paid the rent for July, isn’t it? Correct: You’ve paid the rent for July, haven’t you? Incorrect: Rand is quite upset with his friend, isn’t it? Correct: Rand is quite upset with his friend, isn’t he? 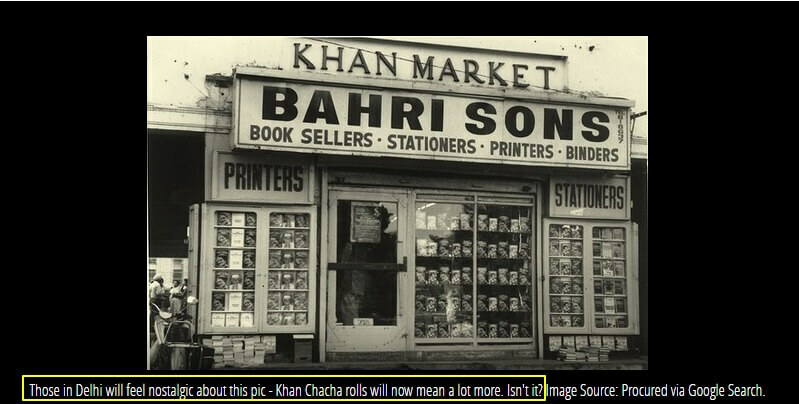 This image appeared in a slide show published on iTimes, a website owned by Times Internet Limited. This is something I’ve written about a few times in the past as well. The problem lies in using “revert” in places where it doesn’t belong and then making it worse by adding “back” to it. Going by its definition in dictionaries, “Revert” essentially means restoring something/someone to its previous/original state. For example: After leaving the rehab, he reverted to his old drinking habits. Moreover, “Revert” is a intransitive verb, meaning it doesn’t require a direct object to complete its meaning. Incorrect: The magician said, “I’d vanish the rabbit in two seconds.”. In the same way, things or people revert to their old/original state or habits. If you click on this option on your PC, the operating system will revert to its previous version. She reverted to her old wicked ways. Since “Revert” means “Going Back” to a previous state/condition, you don’t need to add “back” while using the world “Revert”. I fear Rand will revert back to his smoking habits. I suspect the computer program has reverted back to its previous build. NB: While writing emails, many people tend to use “revert” or “revert back” when they mean to say “reply”. Many linguists believe this is wrong even as some online dictionaries have accepted this as an entry in email context. Revert: (US) (to reply to someone): We will revert to you with pricing and other details. I'm the founder of Common English Errors, a blog dedicated to helping people learn English grammar easily. If you want to support me, please, donate via PayPal. I offer article writing services, SEO and WordPress services. Hire me on Upwork if you need my services. I have to say thank you and also not only Indians make this mistakes. I am from Italy and I live in UK only for a few months. It is pretty easy for me to communicate with people in English but often I am thinking I’m using some words incorrect or I’m feeling like my sentences sound funny. And the worst is writing. Especially punctuation. In Italy we had a lot of similar rules but a lot of English punctuation rules are very different from italian. And I feel so frustrated, you know. So thank you again for an article like this. And I’ve got a little question for you. 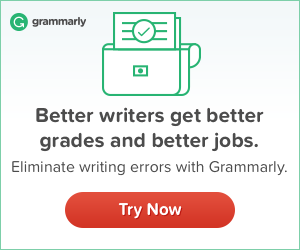 Have you ever used grammar checker tools like Grammarly or correctmysentence.com/edit-my-sentence-for-me/ Are they good? I’ve got the feeling that I will just waste my money on them and there will be a lot of grammar errors in my school paper. I am surprised that “couldn’t able to/can able to” didn’t make the list. This is the most common (and annoying) error South Indians make. I don’t know the reason. Maybe it’s taught that way in schools. eg: i couldn’t able to finish the project yesterday. but if you are ready to wait, i can able to finish it today.